For more than 25 years Ira Stehmann Fine Art (ISFA) has been advising clients, curating exhibitions and promoting contemporary art, liaising with both private and institutional collectors and individuals. The focus of the gallery’s work lies on photography but also includes the sale of paintings, sculpture, video art and installations. Since its founding ISFA has traced, evaluated, acquired, archived and documented thousands of photographs as well as arranged the resale of works. ISFA has excellent contacts to museums, private collectors and artists’ estates in New York, London and Paris and has been managing the estate of Jeanloup Sieff in Paris since the beginning of the millennium. In addition, it has been the exclusive representative for the works of well-known international photographer Christopher Thomas since 2007. Apart from selling art and representing artists, ISFA is strong in developing concepts for collectors. The gallery provides other services too such as appraising works for insurance, documenting artworks, supervising the framing and restoration of artworks, as well as advising and bidding for clients in the auction market. ISFA holds a huge private library of several hundred art books with a particular emphasis on publications in the field of photography. ISFA is also an important source for scholars and museums when it comes to the 1960s and 1970s. 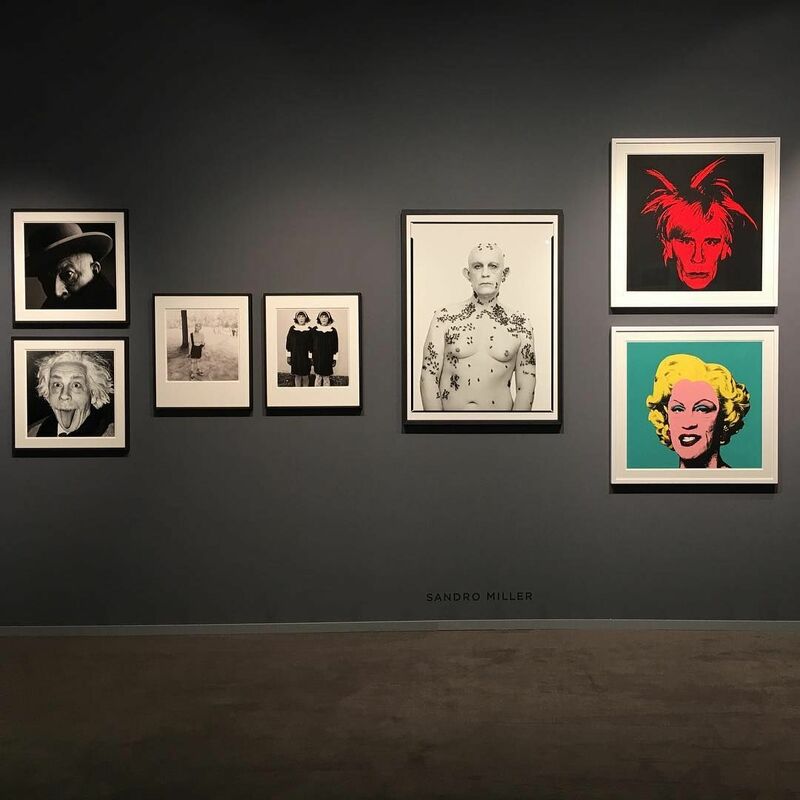 For more than 15 years, Ira Stehmann has been a consultant working on establishing the Zeitgeist & Glamour photography collection, owned by Nicola Erni. She also curated and co-curated two major exhibitions: Zeitgeist & Glamour at the NRW-Forum Düsseldorf in 2011 and Shoot!Shoot!Shoot! at the Stadtmuseum, Munich in 2016/2017, both comprising photographs from the 60s and 70s in the Nicola Erni Collection. In addition ISFA has acted as a curator and adviser, providing exhibition concepts for companies such as Credit Suisse (Germany) AG, Frankfurt/Munich, Allianz AG, Munich, Hypo Vereinsbank, Munich, Paul Hartmann AG, Heidenheim, Argos Beteiligungsverwaltung GmbH, Munich, KBB Verwaltungs-GmbH, Böblingen, Richter & Partner, Munich/Frankfurt/Stuttgart, Get Mobile AG, Munich, Boston Consulting Group, Hamburg/Munich, and Truffle Bay Management Consulting, Munich, among many others. Ira Stehmann studied at a number of different European institutions: Art History in London and Munich, Business Management at the European Business School (EBS) in Oestrich-Winkel, London and Paris, as well as semesters studying in Florence and Parma. After working at Ketterer Kunst, an auction house based in Munich, she transitioned to freelance in 1993. Between 2001 and 2010 Ira Stehmann was a founding partner together with Dr. Petra Giloy-Hirtz of curators GmbH in Munich.